China has railed at Turkish claims it is mistreating its Uighur minority, after a dispute about the fate of a prominent musician. 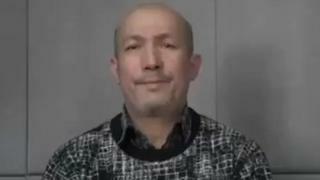 Turkey cited reports Abdurehim Heyit had died in a detention camp, and called China’s treatment of the Uighurs a “great embarrassment for humanity”. China then released a video allegedly showing Mr Heyit alive. The Uighurs are a Muslim minority in north-western China who speak a language closely related to Turkish. 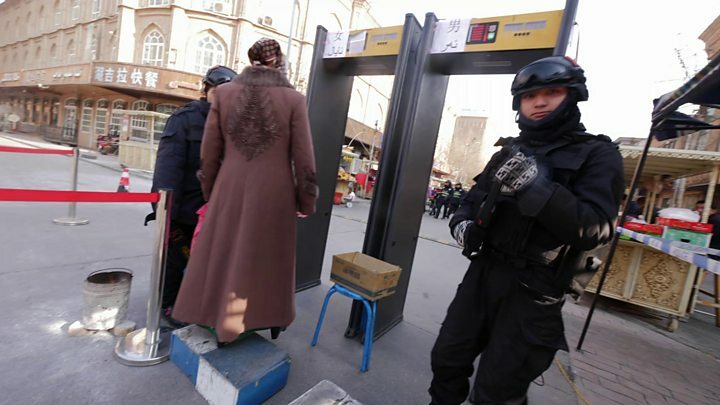 They have come under intense surveillance by the authorities and up to a million Uighurs are reportedly being detained. A significant number of Uighurs have fled to Turkey from China in recent years. China has asked Turkey to revoke its “false” claims. A Chinese foreign ministry spokeswoman said the musician was “very healthy”. “We hope the relevant Turkish persons can distinguish between right and wrong and correct their mistakes,” spokeswoman Hua Chunying told reporters. What is in the video? The video was released by China Radio International’s Turkish-language service, which said Turkey’s criticism of China was unfounded. Dated 10 February, the video features a man said to be Mr Heyit stating that he is in “good health”. The musician appears to say he is “in the process of being investigated for allegedly violating national laws”. He gives the date of the video and says he has “never been abused”. The man is wearing civilian clothes, and is speaking the Uighur language. Turkey foreign ministry had said that detained Uighurs were being subjected to “torture” in “concentration camps”. Foreign ministry spokesman Hami Aksoy said the reports of Mr Heyit’s death “further strengthened the Turkish public’s reaction to the serious human rights violations in Xinjiang”. China has described the comments as “completely unacceptable”. Meanwhile Nury Turkel – chairman of the US-based Uyghur Human Rights Project – told the BBC that some aspects of the video were “suspicious”. Mr Turkel says China has the technology to doctor the footage and said it was “their responsibility to prove the video is authentic”. So far, few Muslim-majority countries have joined in public international condemnation of the allegations. Analysts say many fear political and economic retaliation from China. Critics have long seen Turkey’s silence over the plight of China’s Uighurs as a strategic blunder, undermining President Recep Tayyip Erdogan’s lofty claim to moral leadership of the Muslim world. But belatedly basing its condemnation of China’s system of internment camps on a wrongful claim of a death in custody might be seen as an even bigger blunder. That is certainly the view of China’s foreign ministry. “The video clip has provided very good evidence for the truth,” the ministry’s spokeswoman said. In reality, it’s impossible to verify anything about the status of Abdurehim Heyit. Before the claims of the musician’s death, and China’s quick rebuttal, there had been no official word about his detention at all. Like hundreds of thousands of Uighurs, he had simply disappeared into a legal black hole. And the video bears all the hallmarks of the forced, televised confessions regularly produced by the combined efforts of China’s Communist Party-controlled courts, police investigators and state-run media. China has been quick to claim that the reports of Mr Heyit’s death prove that much of the criticism of the situation in Xinjiang is based on falsehoods. But critics will continue to argue that the confusion – stemming from the lack of any independent scrutiny – shows precisely why there’s such growing concern, even, finally, in Turkey. Mr Heyit’s detention reportedly stemmed from a song he had performed, titled Fathers. It takes its lyrics from a Uighur poem calling on younger generations to respect the sacrifices of those before them. But three words in the lyrics – “martyrs of war” – apparently led Chinese authorities to conclude that Mr Heyit presented a terrorist threat.